This badge was issued to Mark Zobel on 01 Dec 2018. A Certified Fund Raising Executive (CFRE) upholds the highest standards in ethics and professionalism in fundraising. When a CFRE is part of your team, your organization and its donors are served with a higher level of knowledge and accountability—factors that are vital for superior fundraising results. 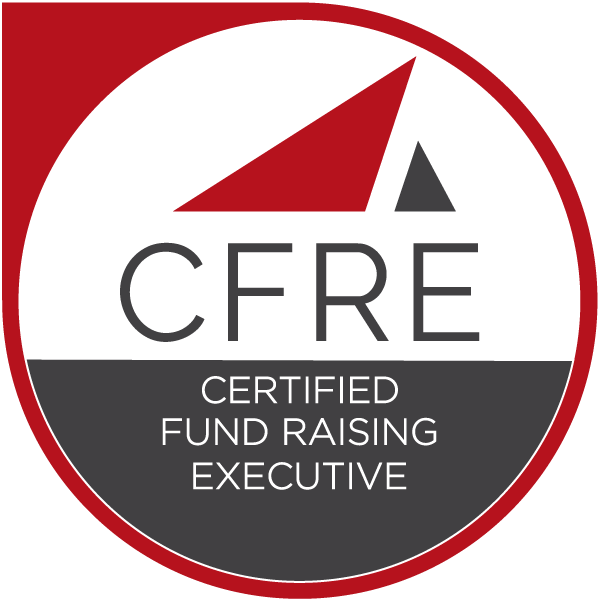 CFRE certification is the only accredited certification for fundraising professionals and is recognized as the global standard for fundraising professionalism. Complete a minimum of 80 hours of continuing education within the past five years. Work a minimum of 36 months in a paid professional fundraising role within the past five years. Document success in actual funds raised and fundraising management. Attest to being knowledgeable of and abiding by the International Statement of Ethical Principles in Fundraising and laws regulating fundraising. Successfully pass the CFRE examination, a comprehensive test covering best practices in ethical fundraising.